With February right around the corner, here is a simple and fun art lesson that will teach your students some important lessons about giving, and about the value of working together, all while challenging them to be creative. 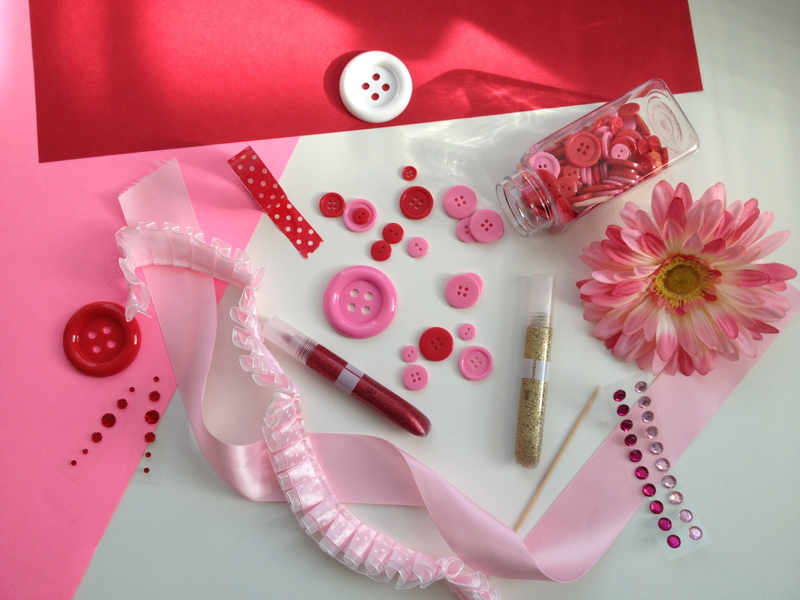 The basic materials required for the Bouquet of Hearts lesson are things I’m sure you have on hand already such as, construction paper, glue, tape, staples, and scissors. For extra embellishments, check around for any fun and unusual materials you might have for the kids to work with like, glitter, ribbon, yarn, buttons, rhinestones, cotton, lace, brads, and so on. You’ll also want something to use as “stems” — like small wooden skewers that can be found in most grocery stores. So using heart shapes as the basis for their “flower”, allow students the freedom to explore both cutting and tearing construction paper. They might want to use layers of heart shapes to create their flowers, as well as combine several different colors of paper. Once the foundation of the heart “flower” has been established, encourage your students to utilize the variety of decorative materials you have made available for their use. Once their “flowers” are complete, and have been allowed to dry if necessary, attach their “flower” to a stick or “stem”. 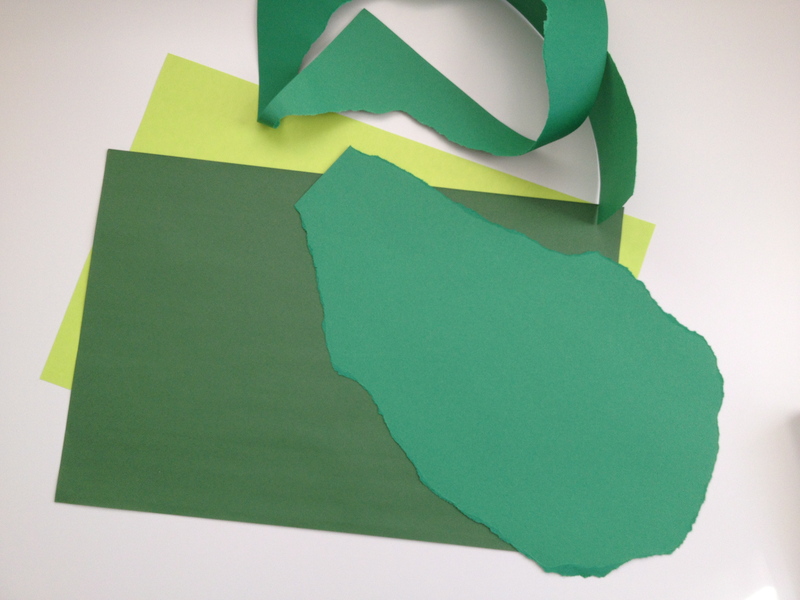 You may also want to have them use crepe paper to wrap the stick and perhaps even make construction paper leaves. When all of the “flowers” have been completed, stand them in a container such as a vase or flower pot. If desired, you could place a small ball of clay in the bottom of the container first to help the “flowers” stand. Lead your students to see that while each of their “flowers” are fantastic on their own, when grouped together, they become magnificent! Each individual “flower” makes an important contribution to the whole bouquet. At this point, the bouquets are ready to be presented to the lucky recipients. For a meaningful language arts connection, students could be asked to write a brief note to the recipient(s) of their work. I did a project very similar to this one with my continuation high school art classes, and I’m telling you they worked harder and with more focus on this experience — that they knew was going to a local residential facility for senior citizens — than on anything we did before or after it. They encouraged each other to keep working so that every person at that facility would get something from them. It was touching and inspiring. Nothing captures the sprit of the holidays like working together to accomplish a common goal. To that end, here is a simple — yet impressive — art experience you can do with your students that is sure to delight all of you! The materials list is simple — all you really need is construction paper. If you have several shades of green on hand, I would suggest using all of them. The variety of greens (tints and shades, also known as lights and darks) will enhance the look of your tree. If you only have one green on hand, don’t despair because that will also look great. 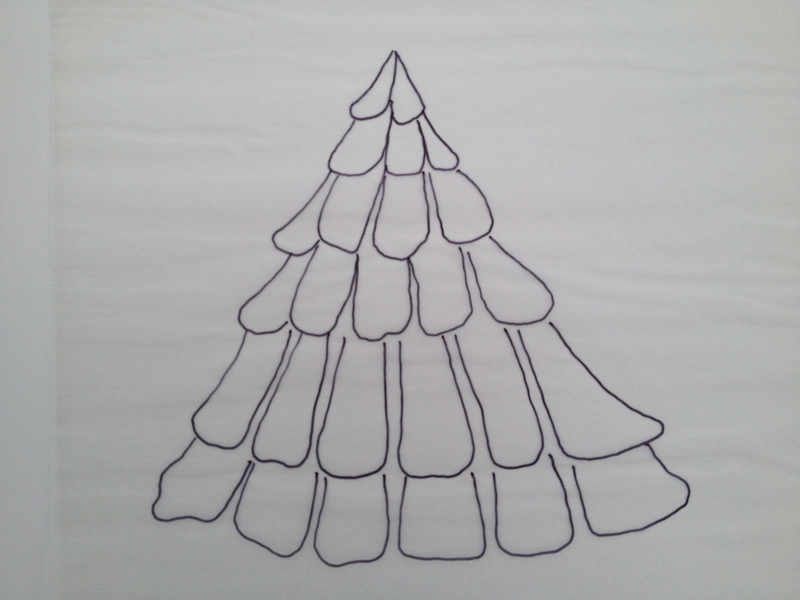 If you’re feeling really adventurous, try making an all white tree. Trust me — it will look magnificent! You may decide to have each child make more than one branch, depending on how many children you have, and on how big you want your group tree to be. When all of the branches are complete, pin or staple them to a wall or bulletin board in a “tree-type” arrangement. (I would suggest putting your tree together after school, that way you can tell your students that they will be surprised the next day to see how all of their individual pieces made something great together. Talk about building anticipation!) Don’t worry about how each branch looks, because they will all look fantastic when they are arranged together to form your class tree.